APM Monaco Opens 1st Canadian Store: Monaco-based jeweller APM Monaco has opened its first Canadian boutique in Toronto, with more expected to follow.The CBRE Urban Retail Team acted on behalf of the Landlord, under the direction of Arlin Markowitz, Alex Edmison and Jackson Turner. The 1,700 square foot Toronto store is located at 89 Bloor Street West, across from Harry Rosen and Holt Renfrew Men. APM Monaco’s store design is inspired “by the Monaco lifestyle” with a signature navy and white colour combination. The attractive retail space was built by Montreal-based Vergo Construction, which works with national and international retailers on their store build-outs. APM Monaco was founded in 1982 by Ariane Prette as a jewellery brand specializing in creating traditional gold, diamond and precious stone pieces for other jewellers. In 2011, the Prette family launched the new APM line (standing for Ariane Prette Monaco) that is made from the purest form of silver, carefully selected cubic zirconia and one-of-a-kind freshwater cultured pearls, among other high-quality materials. Its products are handmade with their own manufacturer to ensure consistency. Designs are also “influenced by Monaco and the South of France,” according to the company, “with a touch of Monegasque flair”. Creative director Kika Prette (daughter-in- law of Ariane Prette) introduces four new collections a month with 12 fashion themes a year. 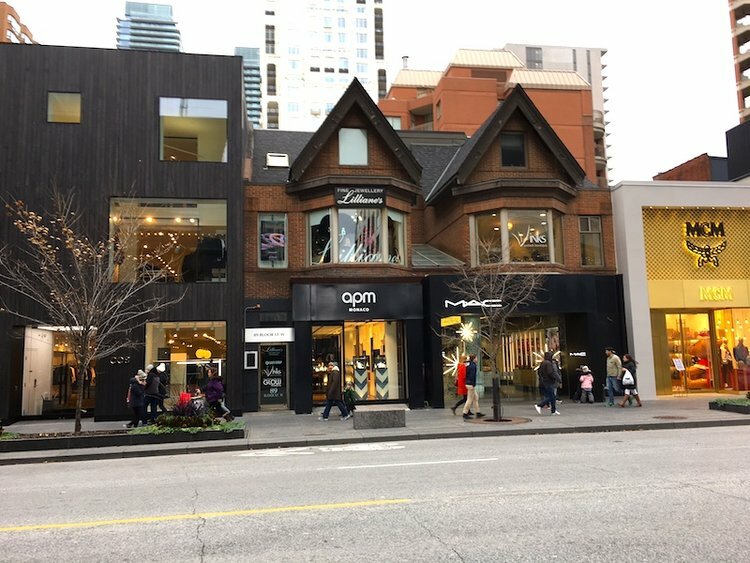 APM Monaco has over 160 stores worldwide, and it’s growing quickly — a rapid US store expansion is currently in the works and sources confirm that Vancouver is a target for at least one APM Monaco store location.